Honda’s elegant new design is the lightest engine available in its class. Perfect for aluminium boats and inflatables. 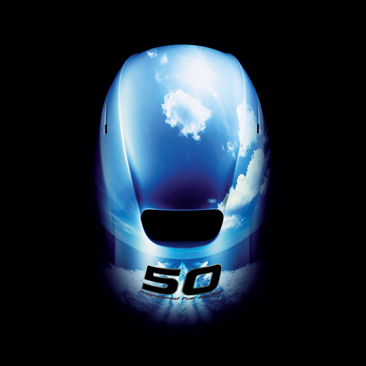 BLAST, along with a specially-designed gear case and other improvements on the BF50 you are assured improved acceleration and higher top speed.A quick movement of the throttle control activates the BLAST system, advancing the ignition curve aggressively. 'Hole shot' and acceleration are vastly improved as more horsepower gets the hull up on plane quicker.As well as this, advanced ignition timing develops more horsepower at low revs. The acceleration from 0-50m is ridiculously strong! A set of four warning lamps will alert you in the event of low oil pressure, overheating, charging malfunction, or PGM-FI electronic fuel injection system malfunction.Designed to get you going faster, the high-performance gearcase reduces drag, reduces hull porpoising and minimises spray, while increasing acceleration and top speed. The waterproofing of the BF50's gear case has also been enhanced, with an optimised shift rod seal and other improvements.And there's always plenty of electric power with the BF50. Honda's innovative technology enables this engine to output nearly twice as many charging amps as the competition's. 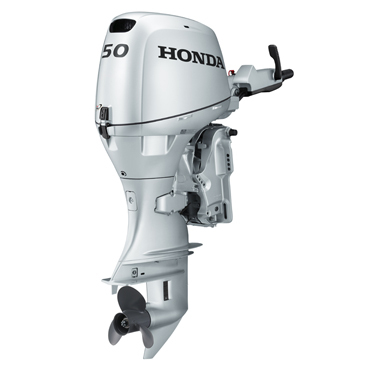 A reduction gear is employed in the BF50 to achieve a compact engine layout by offsetting the in-line three-cylinder engine forward, while a long-branch plastic inlet manifold and miniaturised electronic components help give it a class-topping lightweight, compact design.Like Honda's larger outboard engines, the BF50 features a striking 'wing form' design, showing off a slim, powerful look.And when your BF50 needs a bit of maintenance, an easy 'screw-type' valve adjuster sytem requires no shims and reduces maintenance costs. Easyaccess side-mounted oil filter and oil filler makes keeping your engine in good shape a breeze. 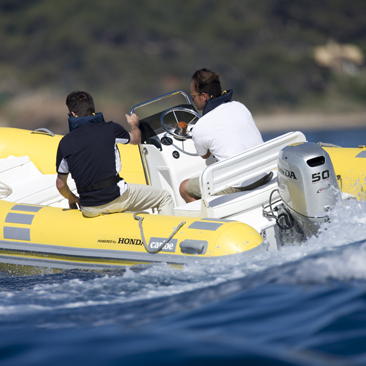 The BF50 can be used with a wide range of boat types due to its lightweight compact design , and noise levels have been reduced by 1.0dB over Honda's previous model.It's NMEA2000 compatible, meaning the BF50 can communicate with onboard electronicsto deliver a wide range of info to your head-unit displays.And with its Programmed Electronic Fuel Injection, the BF50 delivers the precise amount of fuel/air to each cylinder. 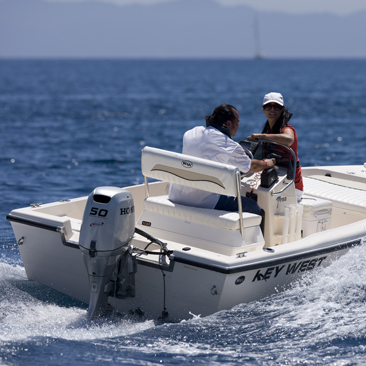 The result is easy starts and instant throttle response with superior fuel efficiency.